Heart Check for Ministry Leaders: How often do you really go to church? Our lives are full. Ministry to and with teenagers and their families is more than a full time job. When we find ourselves entering into their lives and they into ours–there is plenty to do, worry about, plan, follow-up with, pray over, and multi-task. It’s a hard thing to do when we have various responsibilities during our time spent in the church building, but the longer I do this the more I realize that “church” and the worship, discipleship, and fellowship I believe comes along with it is often in my attitude towards it and my posture by which i approach it. Church came for me this weekend as I sat with friends for lunch after a funeral, with all of our kids, and all of our mess. 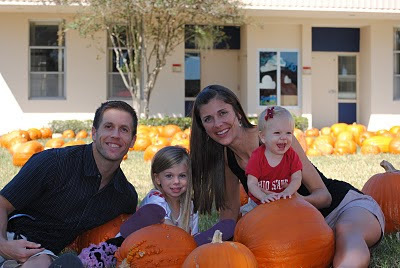 Church came for me this weekend visiting a pumpkin patch with our beautiful girls–enjoying the sunshine and the smells of the season. Church came for me worshiping during a non-traditional Saturday night service with my husband, a service where I have no responsibilities other than showing up. Church came for me when I thanked God for the role I serve in the lives of our students, families, and friends as a pastor who can walk beside them in some of life’s most exciting, challenging, and heartbreaking moments. It’s both humbling and an honor to be used by God in this way. Church came for me when I huddled up with parents to affirm their role in their teen’s lives. I felt affirmed in the process and hopeful too. How you make time in the midst of ministry for your soul and your family matters…big time. You bet I’ll be taking notes during sermons, worshiping more often in services when I’m not “on”, and taking extra time with my family every chance I get. I thank God every day for the opportunity to get to love the church, and get paid for it. It’s not something I take for granted. At the same time, I don’t want to take the husband, children, and spiritual journey that God has also offered me for granted either. How long has it been since you’ve gone to church–I mean really gone there–fully present–fully open and ready to respond, be filled, commissioned, built up, or to be a blessing to someone else? Where does your family fit here–do they need you to notice them a little more this week? Tough stuff, I know, but so good—we can never spend enough time making sure the main things stay the main things.